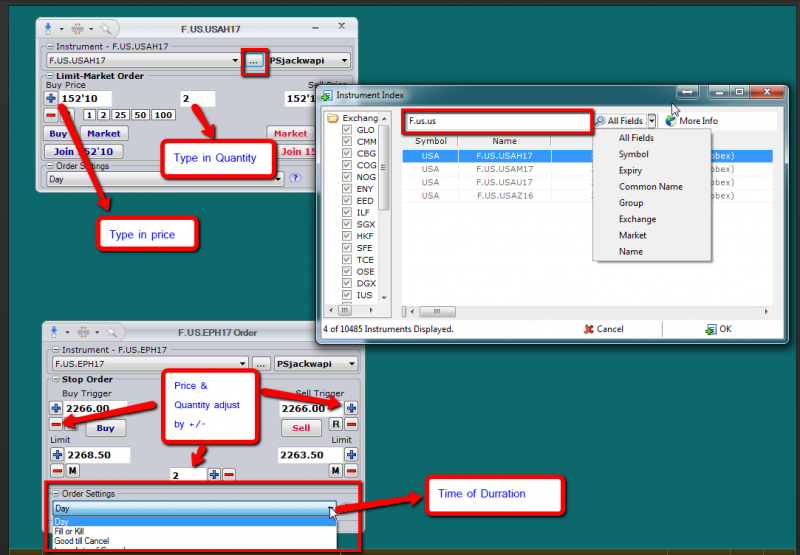 Demonstration of the features of the PhotonTrader Order Entry Ticket. 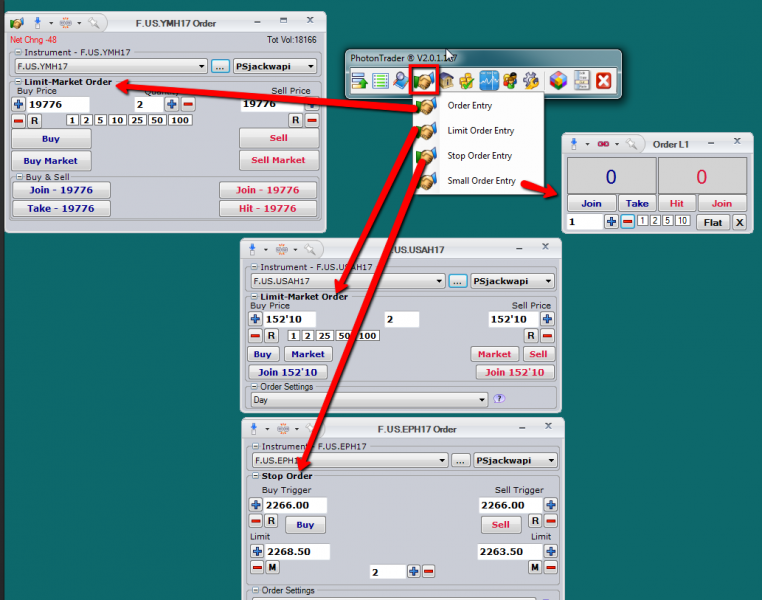 Order Entry Tickets allow placement of Market, Limit, and Stop orders using an “Order Ticket” style interface. 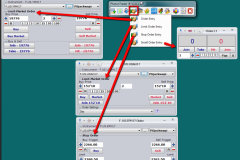 To add a market to the Market Depth Window, click on the drop down arrow, or click on the instrument Index Button. Type in the desired symbol into the Instrument field, or search with one of the other options. The Price fields will be populated based on the associated last trade. 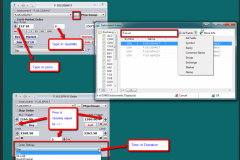 Time of Duration of the order can be set (Day or GTC) under the Order Settings Dropdown.